Enter Now for Your Chance to Win the Husqvarna Z246i zero turn mower, part of the brand new Z200 series residential zero turns. The Z200 series comes with improved ergonomics and functionality, LED headlights and deck options. 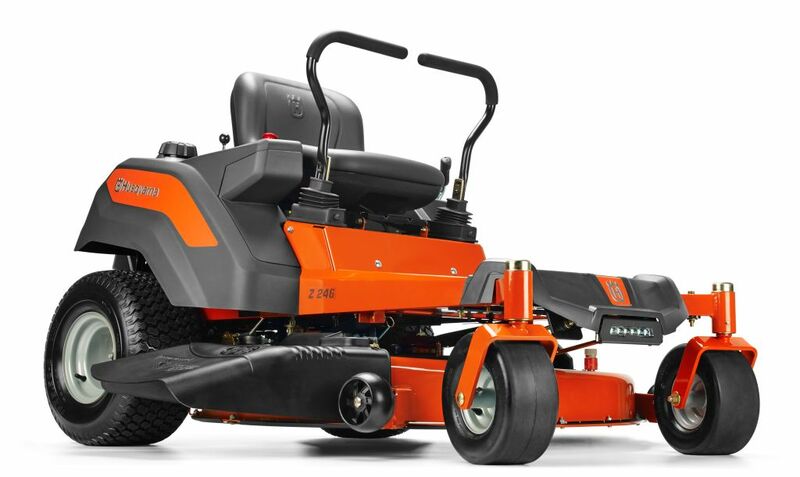 One lucky person will receive the Z246i zero turn mower, which features the SmartSwitch™ technology. The SmartSwitch™ ignition brings the convenience of one touch starting, real time feedback and “key-less” security to lawn equipment. Enter now for your chance to win now. Entries must be completed by 11:59PM ET on April 18, 2015. One winner will be randomly selected to receive a Husqvarna Z246i zero turn lawn mower. All you have to do is “Like” the Husqvarna Facebook page at www.facebook.com/HusqvarnaUSA and enter the giveaway by filling out the form. It’s that easy! Sign-Up Now & Get The NorCal Husqvarna Newsletter for the latest news & special offers.